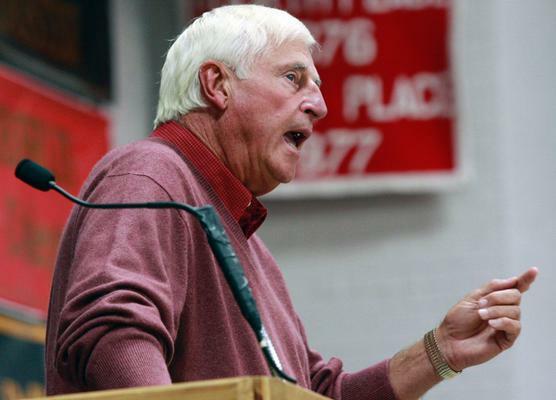 Five decades ago, Mac Petty and Bob Knight were high school sports stars in eastern Ohio, both destined for major college basketball and a future in coaching. 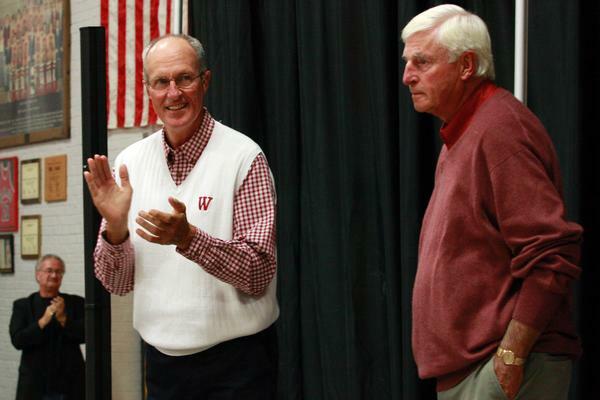 Sunday night, the pair was reunited as Petty, the long-time head coach of the Little Giants, introduced Knight before he spoke to an estimated 500 students, staff, and community members at Chadwick Court. 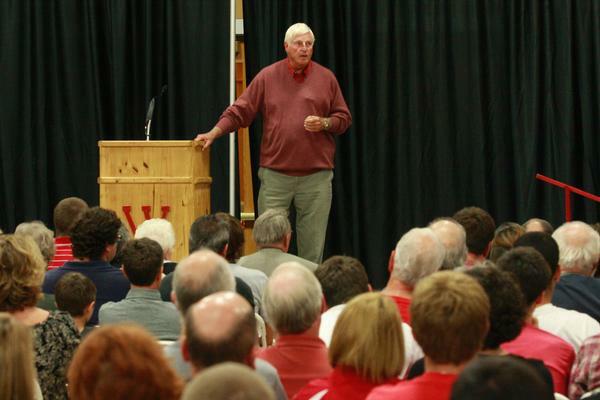 The legendary Knight, who owns the division one record for career wins with 902 victories, gave an entertaining talk on his time at Indiana, his upcoming book, and his prep and collegiate days in the state of Ohio. 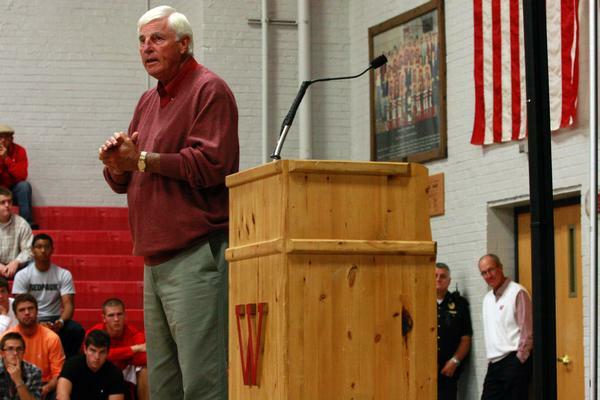 As Petty introduced Knight, the former Hoosier coach interrupted the introduction to note his feelings towards Wabash’s all-time winningest basketball coach. 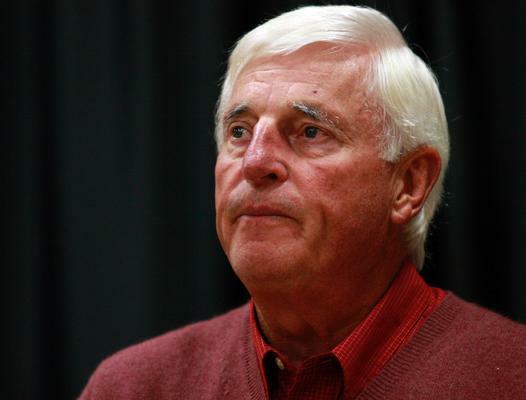 “I just want to tell you guys how nice a kid [Petty] was,” Knight said. “We grew up in the same area, and he was a few years behind me, but we used to play at the same park together, and he was a great kid. 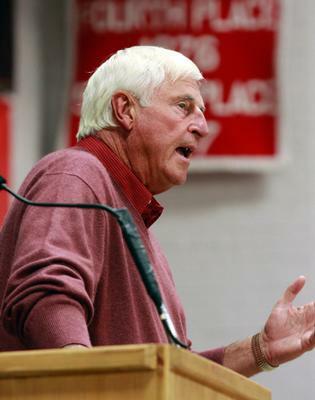 Petty went on to explain that if it wasn’t for Knight, he may never have ended up in Crawfordsville. 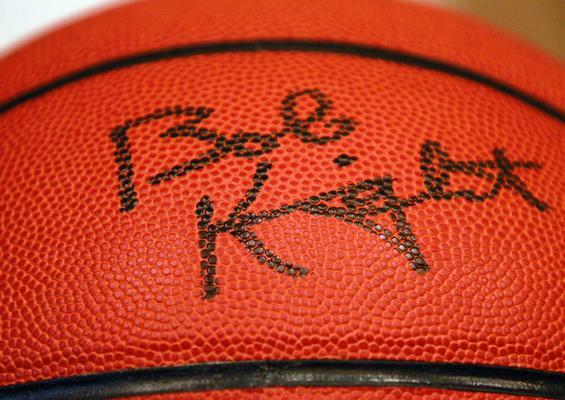 After finishing their prep careers, Petty went on to a collegiate career at Tennessee while Knight played for Ohio State. 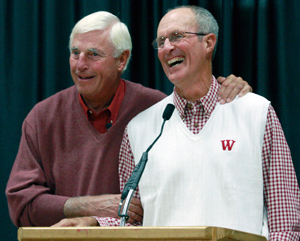 Following their playing days, Petty began his coaching career at the University of the South while Knight began his record-setting career at West Point. 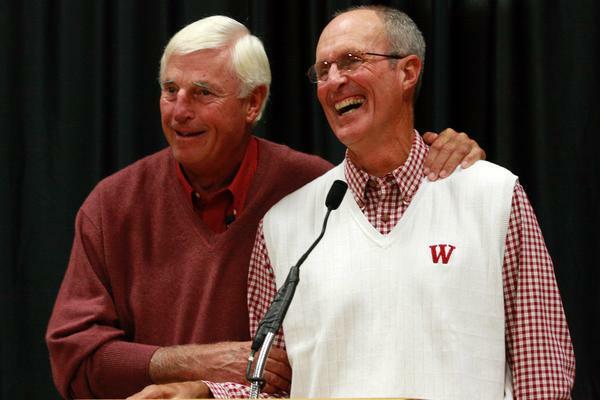 “I was beginning my career and he was coaching in college,” Petty said. 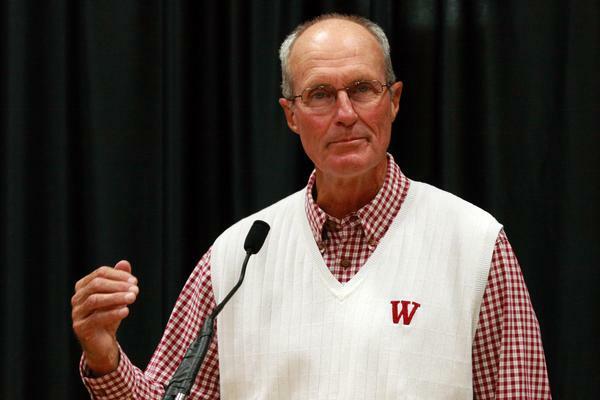 “The big moment came in 1974, when I was told the Wabash job had opened up and that it would be a good opportunity. 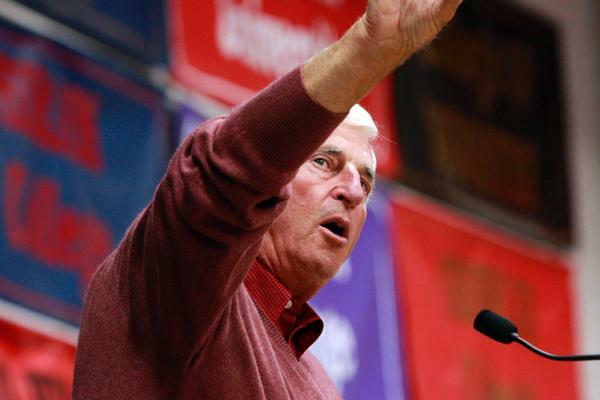 So I gave coach Knight a call and asked him about the job. He told me he would get back to me about it. 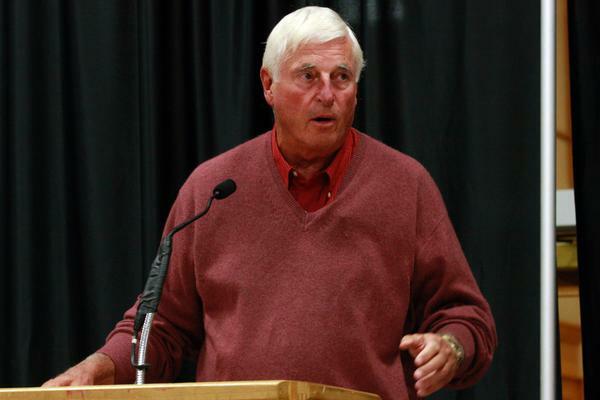 Knight spoke at length about his college coaching career, specifically about his time at Indiana and the memorable moments with some of college basketball’s greatest players, including a young Michael Jordan. 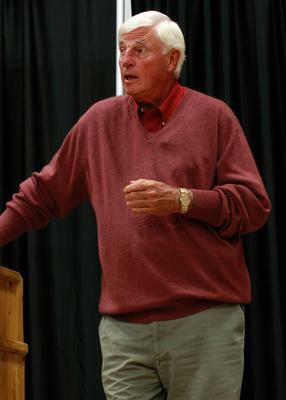 Jordan headlined the 1984 American Olympic team that Knight coached to the gold medal. 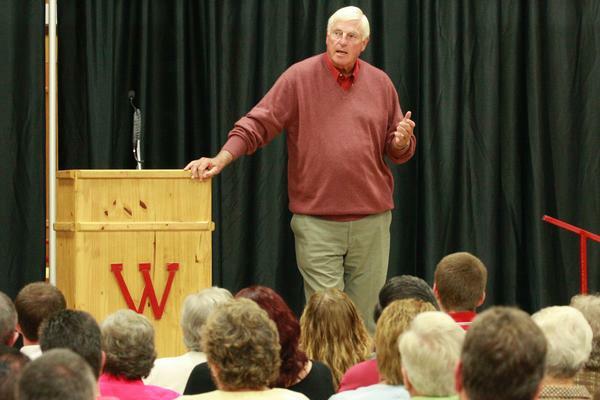 Knight also talked about his upcoming book, focused on the power of negative thinking. 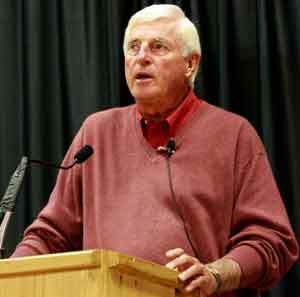 Knight explained that it is in negative thinking where success is found. He explained that with one short phrase. 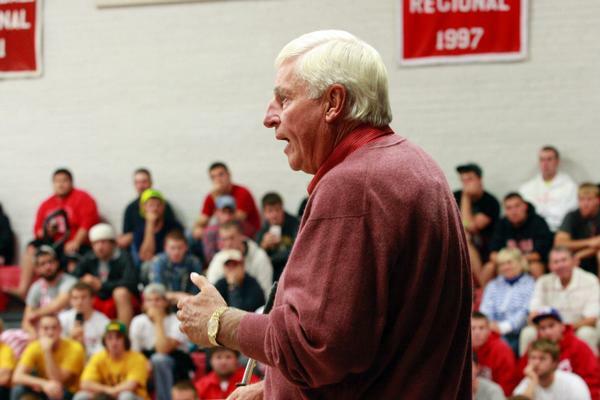 “Success comes to the team who makes the fewest mistakes,” Knight said. 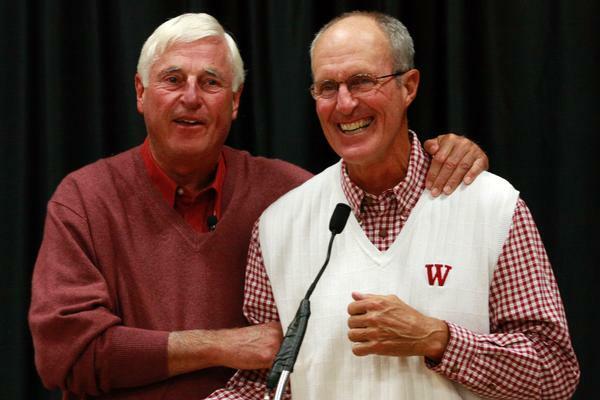 The long-time Indiana head man, Knight discussed some of the lighter moments of his player-coach interactions which may have been overshadowed by a coaching career defined publicly by his intensity and a fateful chair throw in 1985.